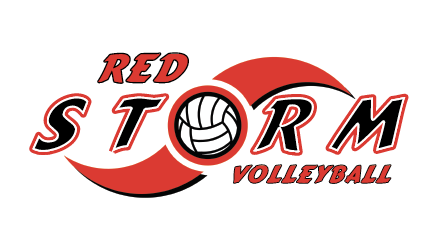 Red Storm Volleyball is a member club of the Junior Volleyball Association (JVA), Amateur Athletic Union (AAU), USA Volleyball (USAV) and the Bayou Region Volleyball Association (BRVA). Red Storm Elite Volleyball believes that individual skill development and discipline are the two most important parts of club volleyball. We are dedicated to providing the most comprehensive technical skill training to each of our players so they can reach their full potential. We believe that great teams develop from having great players so we do our best to help each player become the best she can be. Additionally, we feel it is important that players learn how to be great teammates and learn the tactical part of the game as well. Welcome to Red Storm Volleyball Club. Our mission is to educate each player in the sport of volleyball using consistent teaching methods across all age groups. We have developed a consistent curriculum so athletes can build on their skill from year to year rather than re-learn skills each year. In addition, it is imperative that each athlete understand the importance of overall fitness and conditioning, nutrition, injury prevention, making healthy choices and the qualities of character essential to both success as a volleyball player and in life. We intend to foster a feeling of community in which the entire club gathers together to get to know each other and nurture a whole club spirit outside of each individual team. In doing this, players and parents of all age groups can get to know the coaching staff and vice versa. We will hold several club-wide events throughout the season which will serve to establish and strengthen the relationships we desire to have with each family. At Red Storm we believe that it is important for each player to receive consistent and comprehensive training throughout her volleyball career. To that end, we have established a coachesÃ¢?? training program for all of our coaches. In addition, we will seek to provide every coach with the opportunity to attend coaching clinics to be sure that he/she stay abreast of the newest and best volleyball training techniques. The employment of a Master Coach is designed to aid in the process of developing a consistent program. As part of the team-training package, players will receive position-specific training as, compete with other teams in the club, participate in strength and agility training and receive the highest level of coaching from our experienced staff.